Suits are a major trend this season. The suit was one of the most dominant trends this past fashion week. We saw this classic trend line the streets of New York, London, Paris, Milan, and was paired with everything from sneakers, to pumps. The cool thing about this trend is that it already lives in your closet. We all have a suit or two in our wardrobes right now. And if we don’t have one living in our closets at the moment, have no fear because every major retailer sells a classic suit. Today’s outfit not only highlights the suit trends, but it also showcases one of my favorite print trends; plaid. Like the suit, plaid is major. Plaid is also very classic. 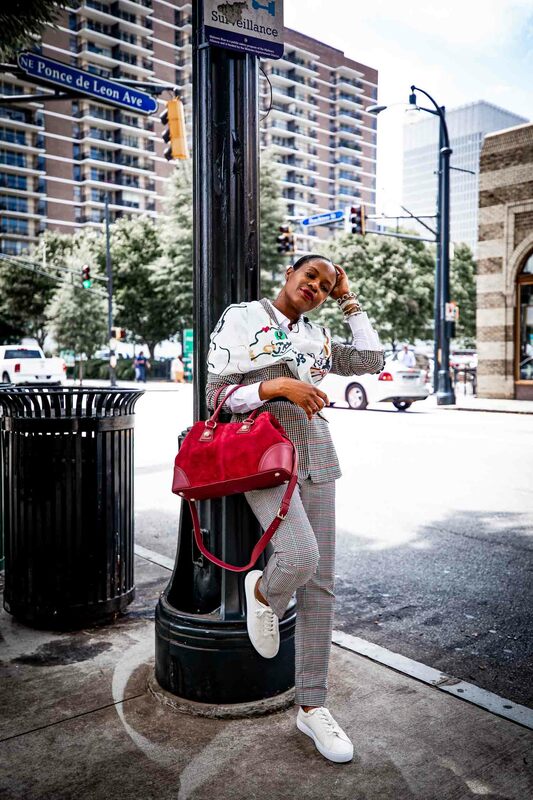 However if you pair your plaid suit with the right accessories, you can transform this timeless business suit to a street-chic outfit of the day. 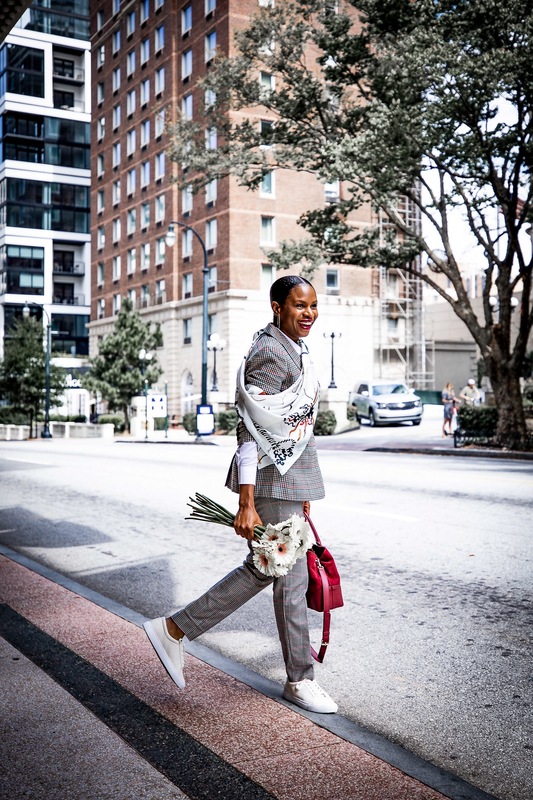 To give my suit street chic status, I simply paired it with a square silk scarf, and a pair of ivory perforated sneakers. I also belted the blazer with a classic black slim belt to showcase my silhouette. 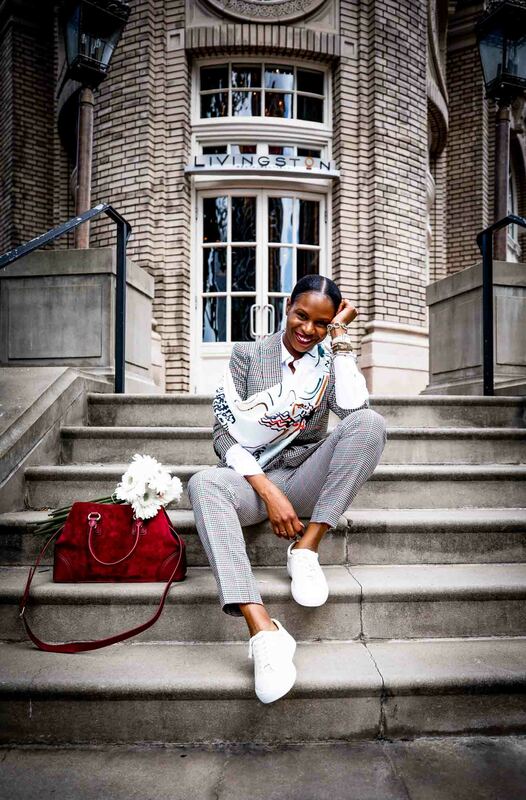 Adding a silk scarf which is highly chic, and pairing it with sneakers is the perfect juxtaposition. Pairing items that contradict each other are the key element to making this outfit street-chic. 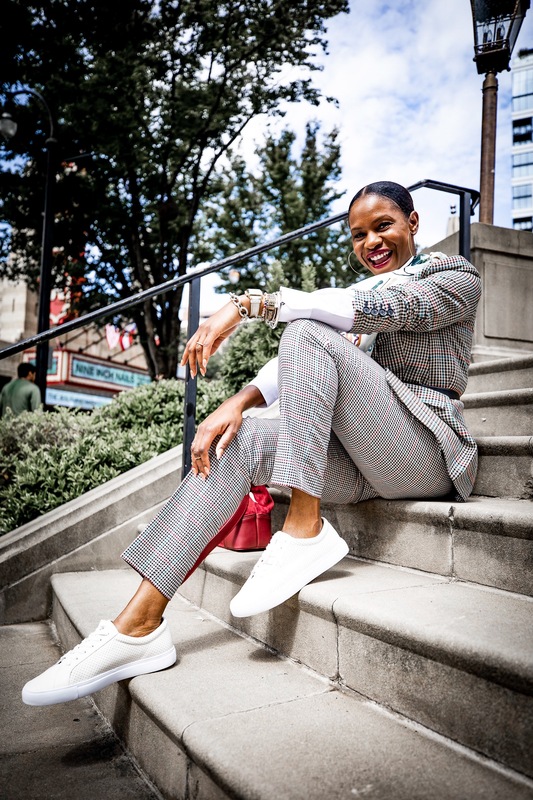 A white dress shirt paired with ivory and white sneakers, a silk scarf against gold hoop earrings, are all little details that make huge impact, and dictate the direction of your outfit.